Private View at Fosse Gallery: Sunday 6th September 2015, 11am – 4pm. The Exhibition continues until Saturday 26th September 2015. 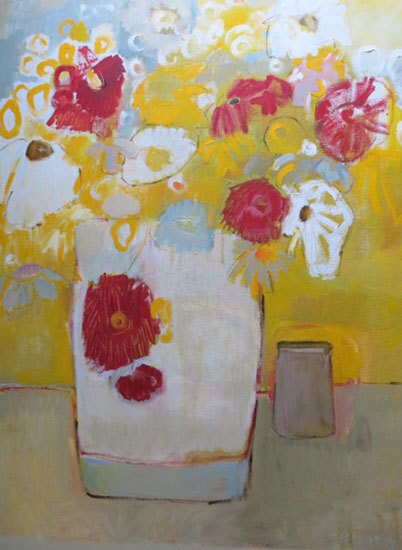 It is always a great pleasure to work with Bridget Lansley and therefore no hardship at all to be staging her second One Man Exhibition ‘Passions of Colour’, here at the Fosse Gallery. Introduced by a mutual friend and fan of Bridget’s paintings nine years ago, it was easy for me to recognise straight away her natural handling of tone, colour and composition and her flair for her subject. 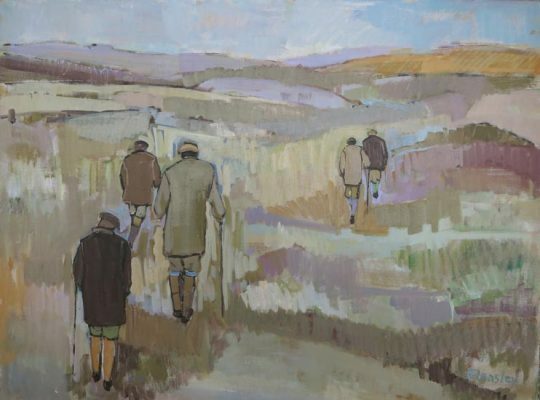 Throughout our association it has been so rewarding to see her work refine, develop and mature into the distinctive and instantly recognisable style that is hers. Lansley’s paintings always attract and she has admirers and buyers from all over the UK as well as overseas. From a family of artists Bridget, like many before her, started her career path in publishing, which in turn led to an increasing involvement with the art world. Hard to resist and with an undeniable talent and passion for painting, Bridget became a full time artist well over a decade ago after studying contemporary art under Robin Child. Equally she succeeds with her sophisticated still life and flower paintings. Very much part of her handwriting, the essential use of colour critically tempered with that analytical eye, reduces a complicated composition into simplified blocks of colour carefully balanced, as seen in The Breakfast Table and Table Setting; or the joie de vivre we feel when enjoying the boldness and exuberance of The Yellow Room. Combine all this with Bridget’s relaxed and elegant charm, translated effortlessly onto her canvasses and you have a highly distinctive and winning combination.